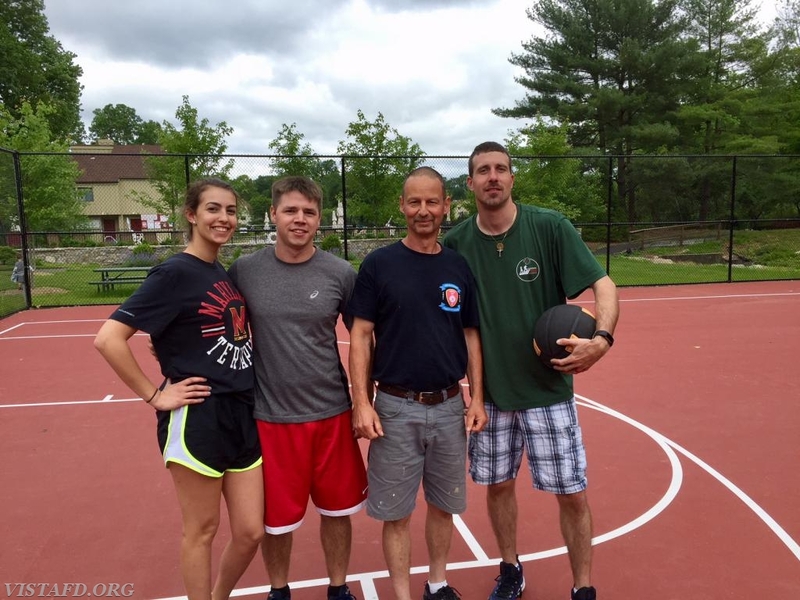 This past Sunday the Vista Fire Department held their first ever "Saturday Platoons 3-on-3 Basketball Tournament." 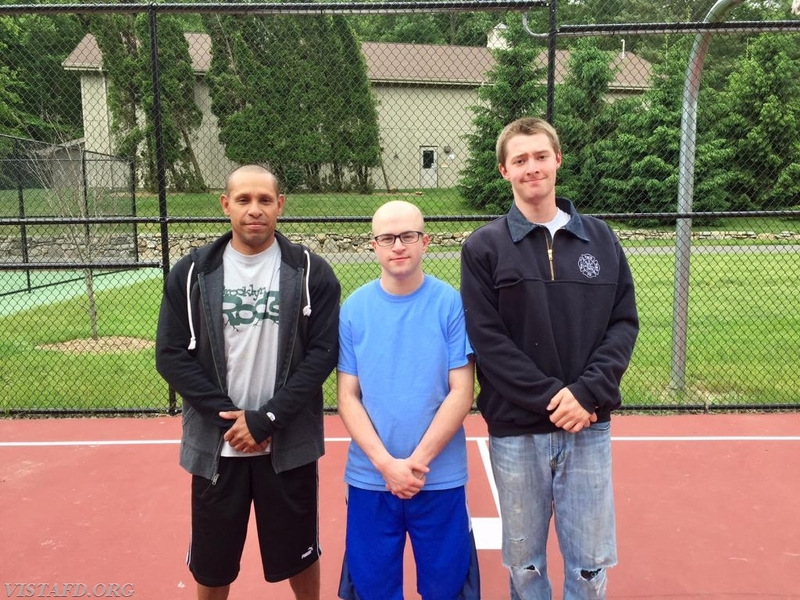 The Vista Fire Department "Saturday Platoons 3-on-3 Basketball Tournament" had each of the four Saturday Platoons playing one another in a double-elimination tournament with the winning Platoon receiving an opportunity to watch an upcoming New York Yankees game from a luxury suite inside Yankee Stadium. 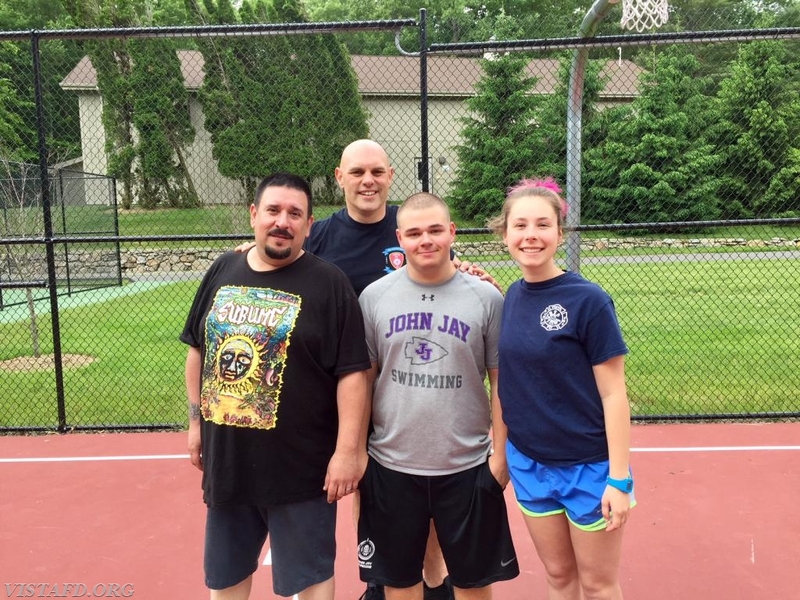 When the tournament concluded, the "2018 Saturday Platoons 3-on-3 Basketball Tournament Champions" were Platoon 1 led by Lead Foreman Marc Baiocco, EMT Greg Pastrana, Probationary EMT Candidate Nicholas Kaplan and Probationary FF/EMT Candidate Elly Hersam. 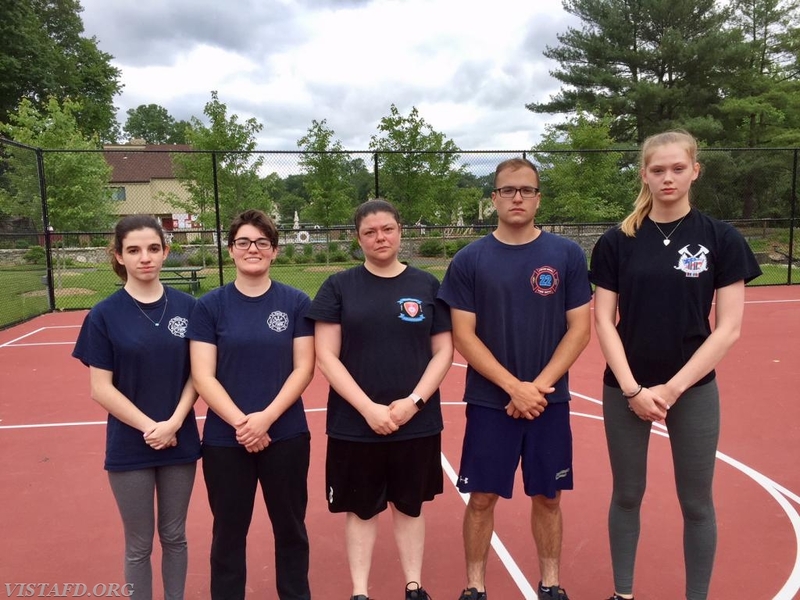 The "Saturday Platoon Program" started in 2015 and currently has nearly 40 members on shift one Saturday each month to cover the Vista Fire District during a 12-hour span. Each Platoon is led by Officers and Foremen where our members cover the Vista Fire District starting at 1900hrs on Saturday evening until 0700hrs on Sunday morning. All Platoons meet at our Firehouse during their shift at 1900hrs on Saturday evening and have a meal as a group. We would like to thank all the Platoons for taking part in this year's tournament and the constant dedication they show by participating in this program!